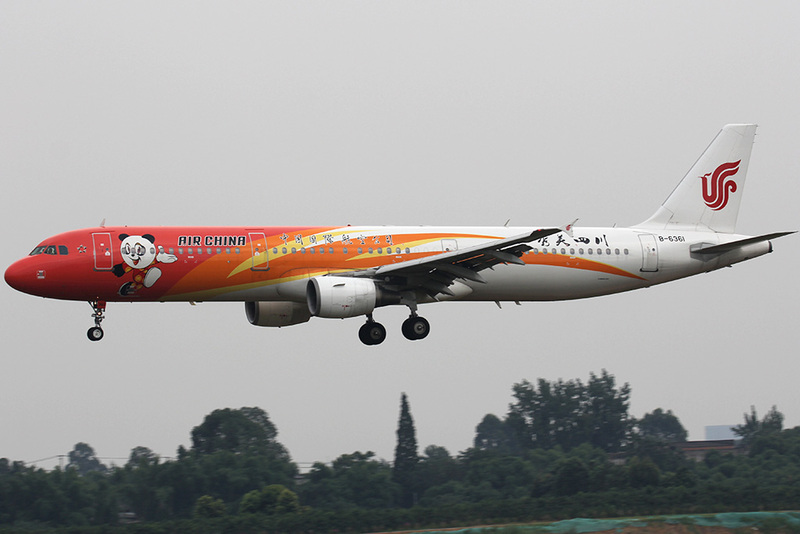 Chengdu Shuangliu International Airport (CTU/ZUUU) is located at 16KM southwest of Chengdu, the provincial capital of Sichuan. 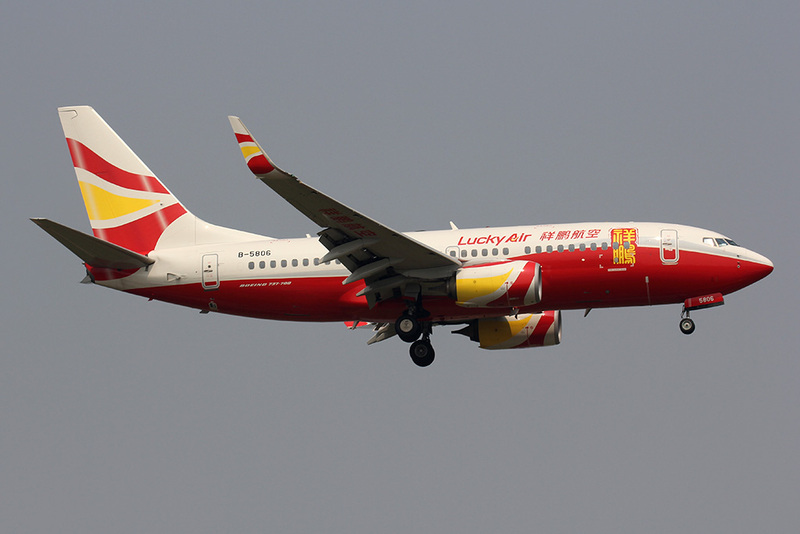 It is an important hub airport in southwest China. 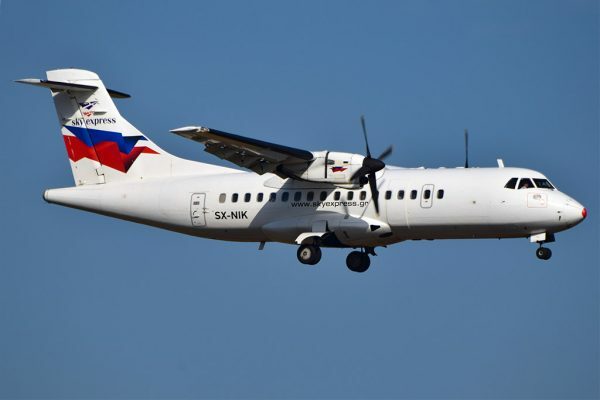 By 2018, it had been built into a modern international airport with two runways, two terminal buildings and a freight center with more than 200 routes covering major domestic areas and an increasing number of international (regional) routes and all-cargo routes. 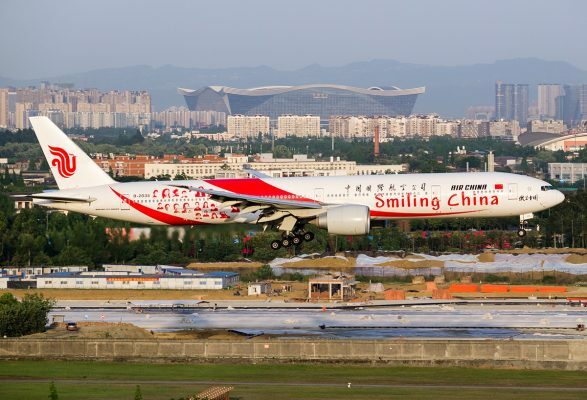 According to statistics, Shuangliu Airport has more than 50 million passengers in 2018 which is among world’s top 30 busiest airport and the fourth busiest in mainland China after Beijing Capital, Shanghai Pudong and Guangzhou Baiyun. 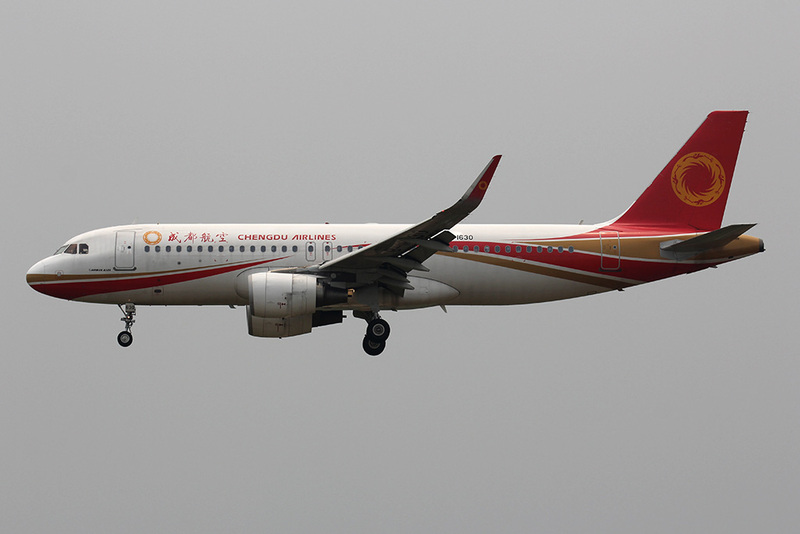 Chengdu Shuangliu Airport is the base of Sichuan Airlines and Chengdu Airlines. 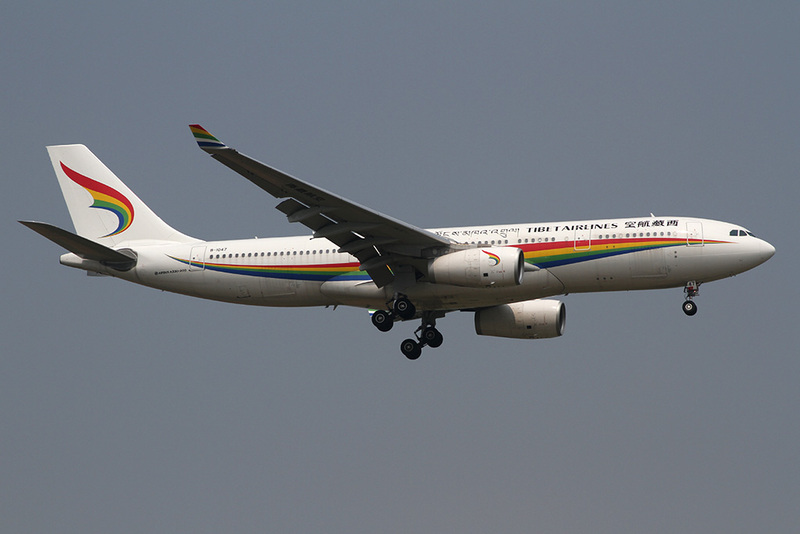 Air China, China Eastern Airlines, China Southern Airlines, Luckyair, Shenzhen Airlines and so on have also set up branches here. 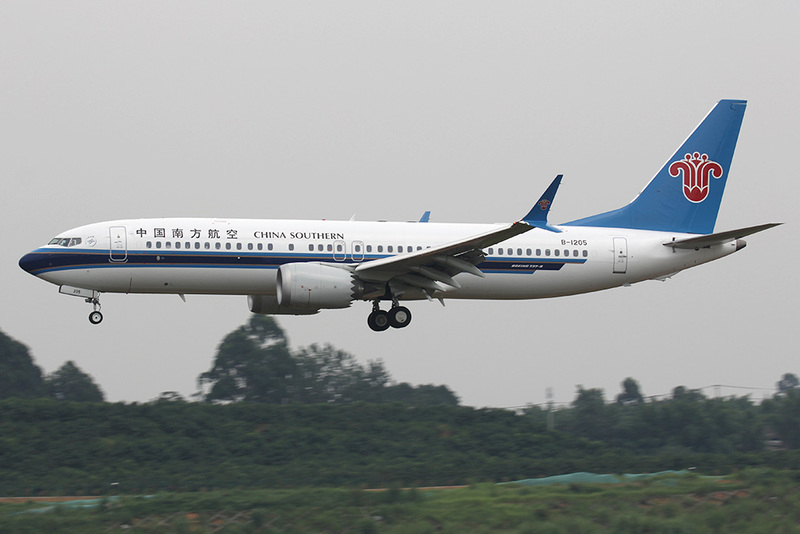 There are two runways in Chengdu Shuangliu International Airport, 02L/20R and 20R/20L. Usually runway 02L/20R is used for northward departure and runway 02R/20L for northward arrival. The airport is not likely to operate southward, only in certain weather and wind conditions in summer. Because of the large number of houses and fences around, runway 02L/20R has almost no spotting location at close range. By contrast, a large part of the area around runway 02R/20L is higher than the runway surface, so it is very suitable for spotting landing airplanes at close range. 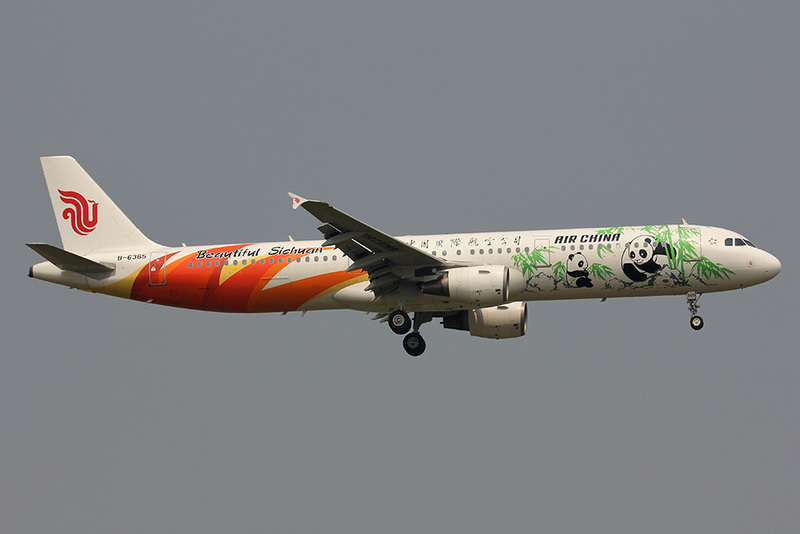 Transportation to the airport is very convenient, Spotters can go through high-speed railways, subways, buses, taxis, and even by bicycle to the spotting locations. 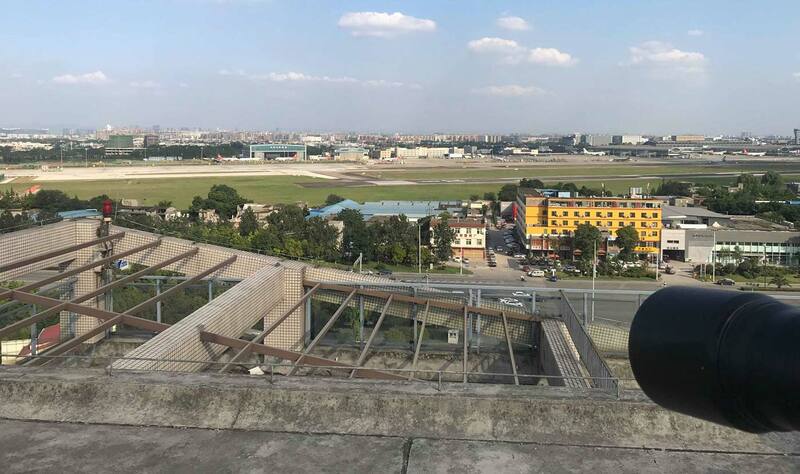 Chengdu Shuangliu Airport has several good spotting locations, but the climatic factors often affect the pictures quality. There is almost no sunshine in winter, and the haze is very serious. It is suggested that the spotting time be April to October. Car Car/Taxi is the best choice,. By public transport its possible but you can not get to spotting location directly and need to walk especially for the southern spots..
Restrooms It’s not easy to find, maybe in some farmers’ yards. Drinks/Food Better to carry foods and drinks. Season It’s better to choose April to October, with good sunshine and visibility. Due to national security concerns, the use of geographic information in China is restricted and the layers in google maps don´t fit. The satellite images are correct but the street layers are displaced! Please click on the link at each location (WHERE) to get to the chinese website baidu where you find an exact map with satellite and street view images. If you use a smartphone please download the Baidu App. 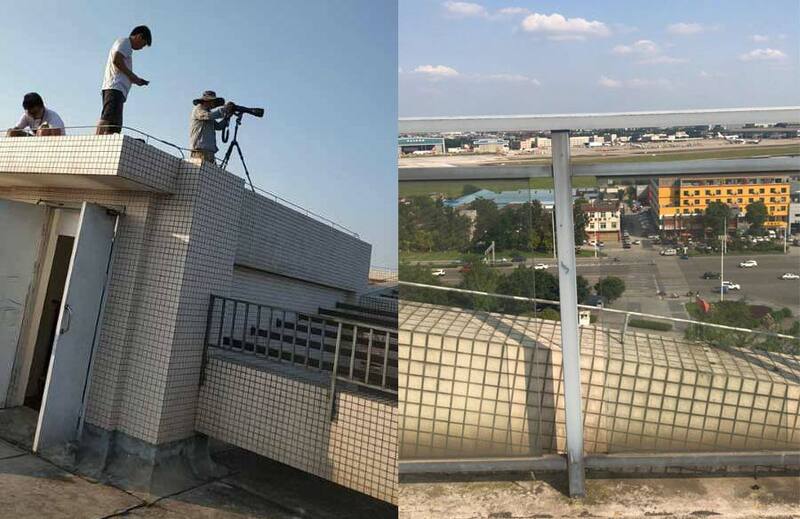 WHERE This spotting location is on the roof of an 11-storey building west of runway 02L, beside LongQiao Road, (龙桥路) and opposite of the “Rujia Hotel (如家酒店)”. If you come from downtown Chengdu, take metro line 3 to LongQiao Road (龙桥路) and use Exit C. Then, take the bus NO.548 or NO.516 to LongQiao Market (龙桥综合市场), you should be able to see the buildings located across the street in the picture below. Use the main gate to enter the building, take the evaluator to the top floor, then use the stairs to the roof. It should be noted that when you enter the building, don’t draw too much attention from the security guards as they don’t really like plane spotters, so, put your lens and tripod in your bag until you reach the roof, there will definitely be no problem. WHAT The movements of runway 02L/20R and terminal can be seen completely here. There is no obstruction in sight. 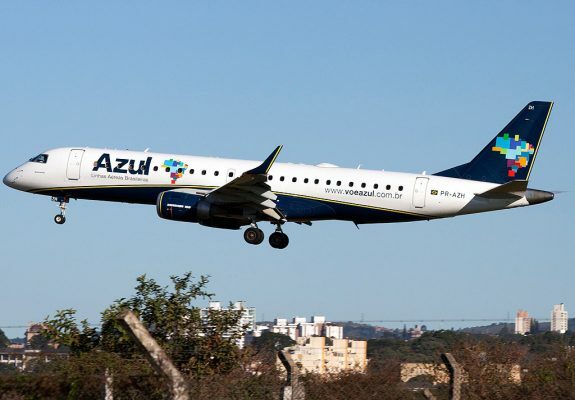 Usually you can take pictures of planes departing from runway 02L here, while the altitude of the passing planes will exceed 100 meters at the closest distance from this location. 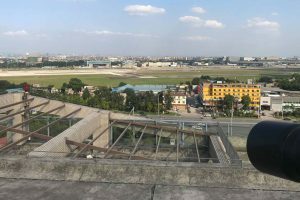 It will be a ideal place to take pictures when planes final approaching on runway 20R, which will get the airport building or city sense as pictures background. TIME Good weather in summer between 3:00pm-7:00pm, winter is not recommended because of its terrible visibility. MISC. There is no food, no water, no restroom. You need to take everything there yourself to the top. On the main road there are several food stores. WHERE This spotting location is on the 14th floor of a high-rise building near Changshun Road, XieYiJiaRi apartment (写意小区). It has a high view and can overlook most of the airports. Unfortunately, trees blocked the runway, so here you can only see the taxiway, apron and terminal 2. And because of the distance, spotting here requires very good weather and visibility. You can go there by taxi or bicycle. You can also use the public transportation, if you come from downtown Chengdu, take metro line 3 to “Dongshen Road Station” (东升路) and follows the direction to walk for around 1 km until you see the building in the picture below. Normally, the main gate is unlocked so you can enter in the apartment freely, when you enter in, just take the evaluator to the top floor, where you could find a nice spot on the roof. WHAT Aircraft taking off from runway 02L or runway 02R will pass through the taxiway in front of this location and can take pictures of aircraft taxiing on the ground. TIME Good weather in summer between 3:00pm-7:00pm,winter is not recommended because of its terrible visibility. MISC. There is no food, no water, no restroom. You need to take everything there yourself. WHERE This Spotting location is on the east side of the middle section of runway 02R/20L. The abandoned fields. higher than the runway surface. It can be reached by taxi or bicycle. It is also possible to get here by public transportations (but it’s not recommended as you need to transfer for multiple times.) 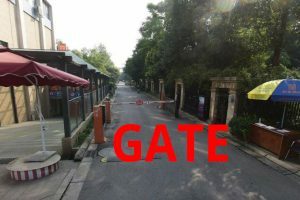 If you come from downtown Chengdu, take metro line 3 to “Shuangliu Square Station” (双流广场站), exit at A1 and walk for about 300m, then take bus NO.838 to “Guangdu Avenue Dajie Intersection Station” (广都大道大件路口站), finally, take bus NO. S33 to “Mengzi Village Station” (檬子社区), which is pretty close to this station. WHAT In most case, You can spot the planes landing on runway 02R here. the planes taking off from 02R can also be spotted here before 9:00 a.m.
WHERE This Spotting location is on the east side of the South end of runway 02R/20L, on some abandoned fields. You are higher than the runway surface so no ladder is needed. It can be reached by taxi or bicycle. It is also possible to get here by public transportations (but it’s not recommended as you need to transfer for multiple times). Just follow the same direction as location 3 to take the bus S33, get off at “Hejiadian Station (赫家店站)” which is 3 stops after “Mengzi Village” (檬子社区) and walk/drive on the small path from the main road till the fields. 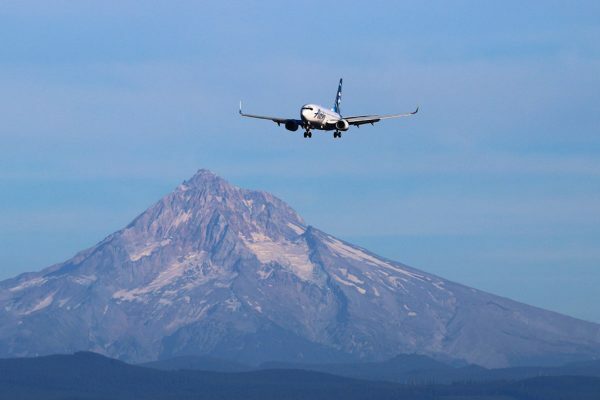 WHAT Here you can take pictures of planes final approaching on runway 02R.If luck and weather are good enough, You can even spot snowy mountains 50 kilometers away as a background for the planes. MISC. There is no food, no water, no restroom. You need to take everything there yourself. No ladder needed/useful. WHERE This location is at the end of runway 02R, just follow the direction on the map, you can stand on the side of Muhua road to spot. You can move along the road to find the best angle. It is recommend to reach here by taxi or bicycle as parking is strict prohibited here. If you prefer to use public transportation, take metro line 3 to “Shuangliu West station” (双流西站) and use exit E. Then cross the street (about 200m far) and take bus 811 to “Muhua Road Huangang Intersection Station” (牧华路环港路口站), you should be able to see the final approach traffic when you get off the bus, just walk along the road for about 800m, you can arrive this location. 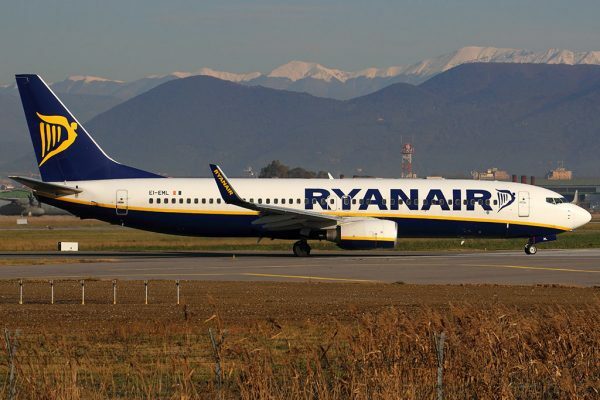 WHAT Here you can take pictures of planes land on runway 02R in the sky, which is the same as in location 4. TIME This location is ideal for the whole day, depends on the location you stand. WHERE This is a pretty popular spotting location for locals which is on the west side of runway 02R and accessible from the Shuangyong Road. It#s an open park where people go for a walk and get some sunshine. It can be reached by taxi or bicycle. You can also take metro line 3 to Shuangliu West (双流西站) and use exit E. Then cross the street (about 200m far) and take bus 811 to “Muhua Road Huangang Intersection Station” (牧华路环港路口站), walk along the road for about 100m after get off, you can see the entrance of the park shown in the picture below. It is close to location 5. WHAT At this location you can spot the arrivals of Runway 02R. International arrivals from Europe and Middle-East are likely to use this runway during southern operations. Some domestic flights can also be seen here. WHERE This spotting location is on the west side of runway 02R just a bit north of the fomer spot 6 along the Shuangyong Road. Actually there are several good spotting location by the road without any obstruction so feel free to find your prefered location. It can be reached by taxi or bicycle, if you use public transportation, use the same way as location 6. WHAT Here you can take pictures of planes final approaching on runway 02R which is the same traffic as the previous location.